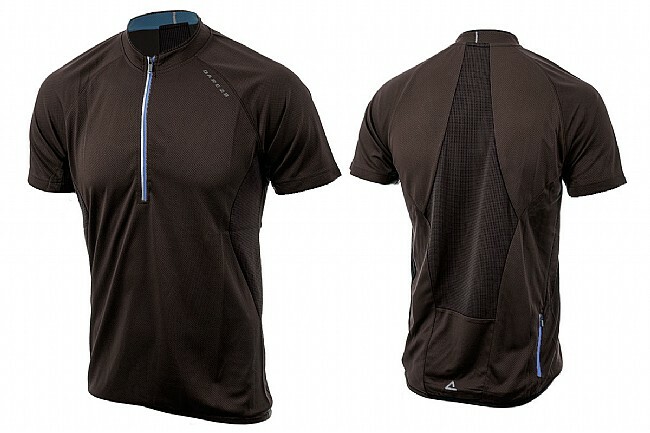 Stay dry, comfortable, and at your best with Dare 2B's Retaliate Short Sleeve Jersey. The Retaliate Short Sleeve Jersey is available in various colors. Waist 30" 32" 33" 34" 36" 38"
Bought this jersey for biking and find its back pocket too small for my mobile phone andwallet. Jersey snags easily. I would rate this product higher but I just cannot. I was expecting a much bigger back pocket. It is a very small pocket with a zipper on it. I did read the description before buying it but I did not realize it was so small that it would barely hold an energy bar. If it had bigger pockets I would have rated it 4 stars. I ride for 2 or more hours at a time so this jersey will be rarely utilized because of the small pocket. Outside of that, the jersey is actually quite nice.